Hungarian Black Chilli is originally from Hungary where they are used in the various local dishes that need the flavour of chilli but not the hotness. The heat level of this chilli is not too hot. Will do well in salads, great in Hungarian Goulash dish or any Asian rice dish, which needs some nice red colour for the looks and not too much heat. Black Hungarian is a vigorous, upright, annual or short-lived perennial with wide, lance-shaped, often purple-veined, mid-green leaves. 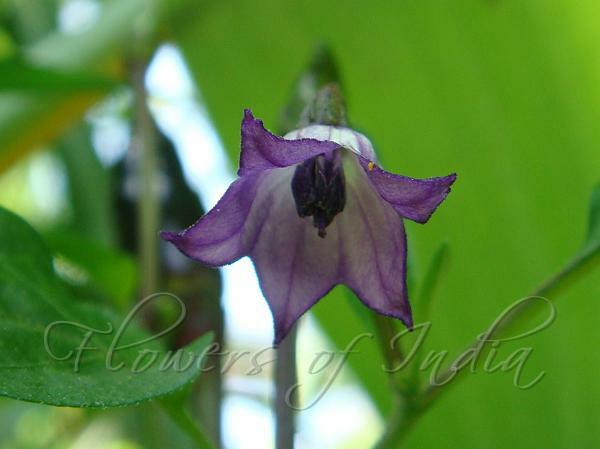 The plant produces beautiful purple flowers and the chilli pods go from black to dark red over time. The full ripen pods look like the Jalapeno pods. 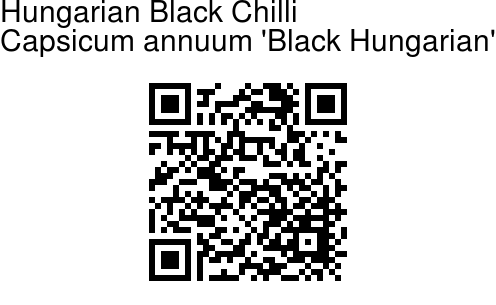 When fully grown the Hungarian Black Chilli can grow up to 50-80 cm high and fruiting season lasts 4-6 months.